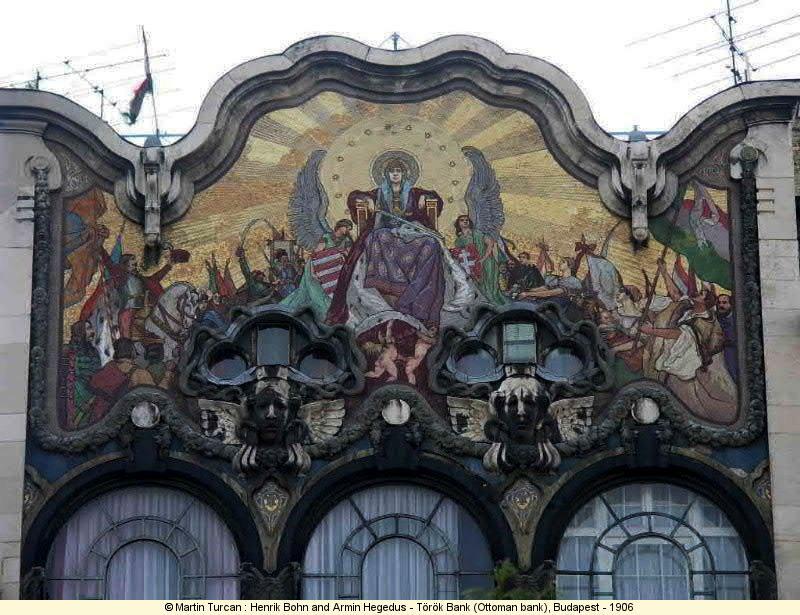 During the Art Nouveau period, Hungary was part of the Austrian Hungarian empire. In 1867, the Ausgleich set a dual monarchy (Austria - Hungary) that gave some autonomy to hungarians but the claim of their sovereignty continued and reach a climax at the beginning of the XXth century. 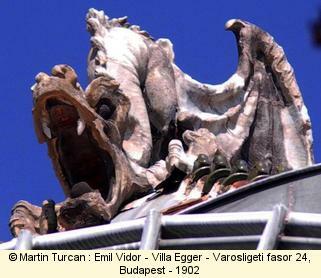 The quest of national identity invested largely the hungarian cultural field. 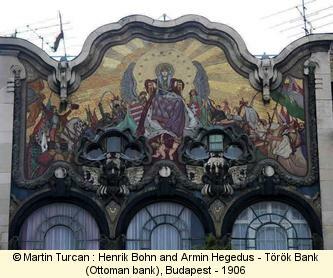 Hungary had a specific national representation (hungarian pavilion) in two of the main exhibitions of that time : the 1900 world fair in Paris and the 1906 international exhibition in Milano (Italy). Economically, in 1906, the tulip movement against the economic power of Austria led to a boycot of Austrian goods. 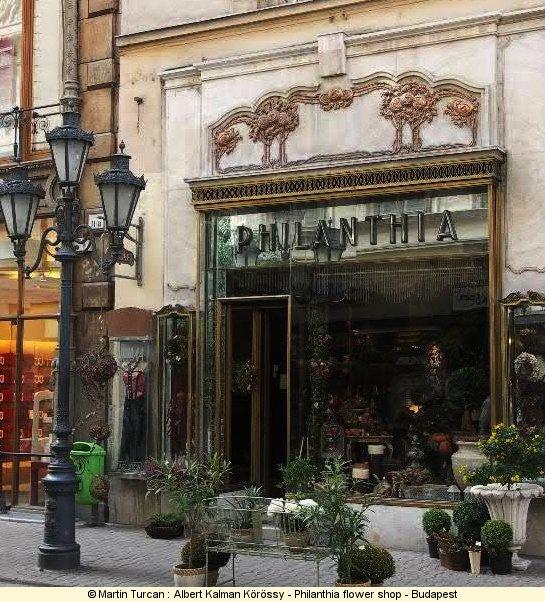 At that time also, Budapest have grown from the 1860ies even faster than the other european metropoles and building activity was very high. 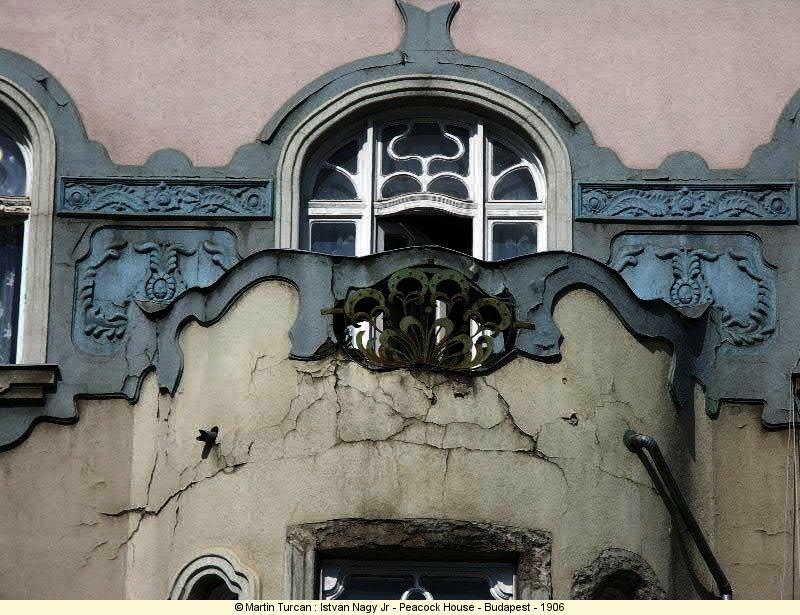 Odon Lechner : elder and major architect of the Art Nouveau movement. He was inspired by the two visits he made in Britain, Gottfried Semper (distinction between the function/structure and the cover), his knowledge of historical shape languages, new materials and Josef Huszka, the major etnograph of the hungarian people (traditions, skills and art). Odon Farago : major cabinet maker. Jozef Rippl-Ronai, painter. 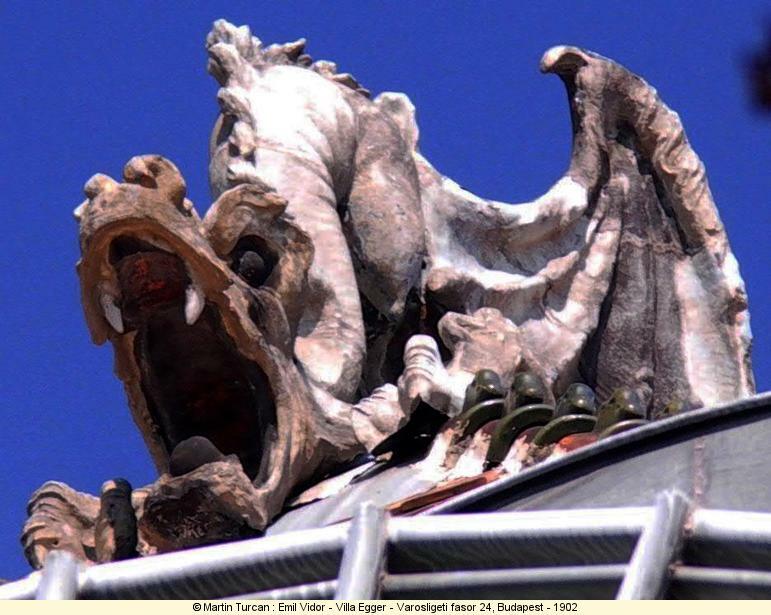 He was part of the Ecole de Pont Aven and then of the Nabis group in France. 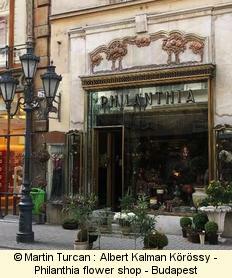 He also have an activity in the applied art field, especially in Hungary. An artist colony was set there. 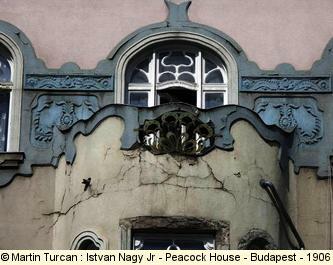 It was speciallised in tapistery introducing in Hungary the French technique "haute lisse" of the Gobelins and using Art Nouveau patterns. Created in 1862 and bought to his brother by Vilmos Zsolnay in 1865, it is very dynamic at the turn of the century under the leadership of Vinsce Wartha, a chemist who invented the famous Eosin glaze. Zsolnay ceramics were also influenced by the traditional hungarian culture (shape and patterns) which gave them a real originality.